Tuesday final painting lessons with the older kids of Stichting Felis. The blocks are ready to be sold. Is there one you fell in love with and would like to buy to support art oportunity for kids on the island, let me know. 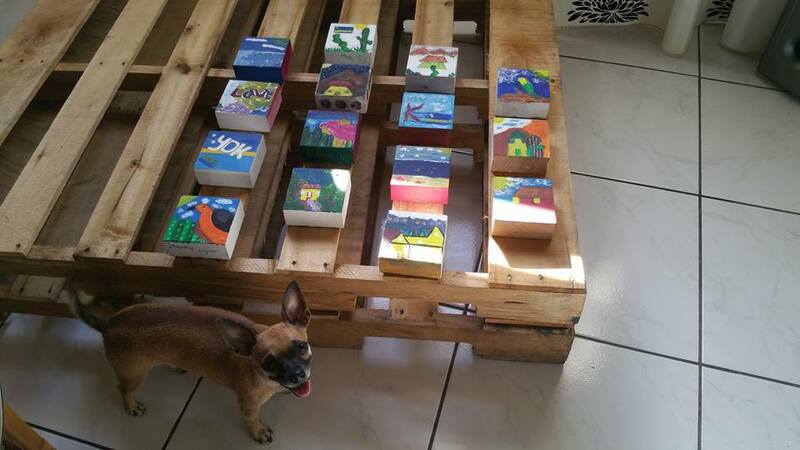 To see the blocks in person, posible on the last thursday of the month St. PLEINAIR will be present in Art Street Windstraat, during ‘Punda Vibes’, presenting these and many more blocks.